They say, that every teenager nowadays admires someone. A lot of young people find idols in cinema or music sphere, in sports or in politics . 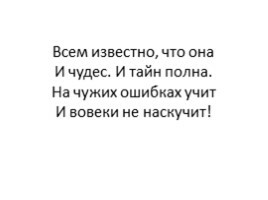 As for me I admire those people who try to help others to improve their way of live. One of such people is Elizabeth Glinka. I think that she is a person who deserves our respect and admiration. 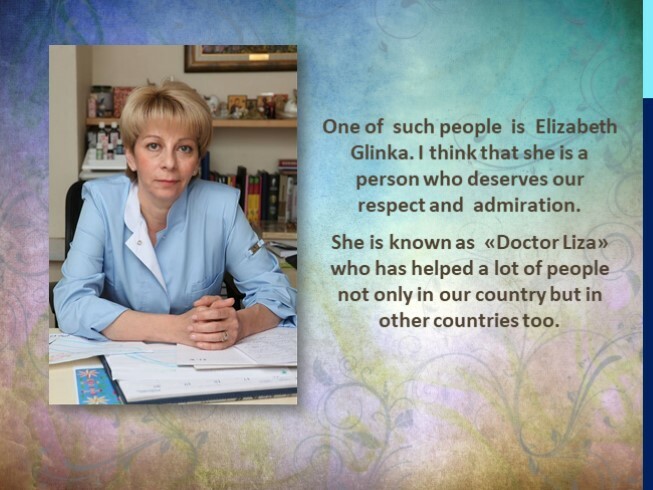 She is known as «Doctor Liza» who has helped a lot of people not only in our country but in other countries too. 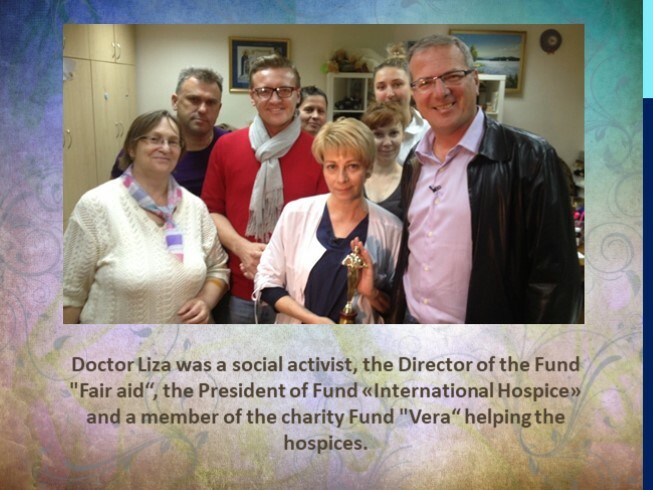 Doctor Liza was a social activist, the Director of the Fund "Fair aid“, the President of Fund «International Hospice» and a member of the charity Fund "Vera“ helping the hospices. 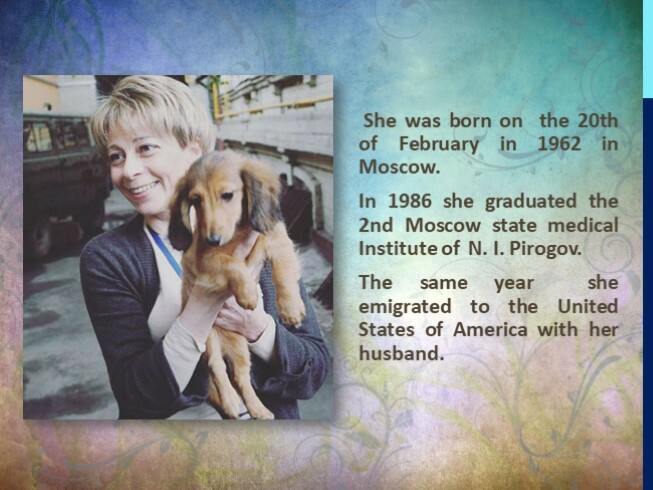 She was born on the 20th of February in 1962 in Moscow. 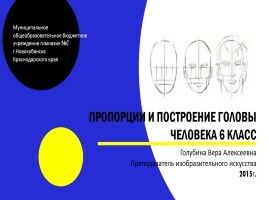 In 1986 she graduated the 2nd Moscow state medical Institute of N. I. Pirogov. The same year she emigrated to the United States of America with her husband. Her husband Gleb Glebovich Glinka is a son of the famous Russian poet and literary critic Gleb Alexandrovich Glinka. 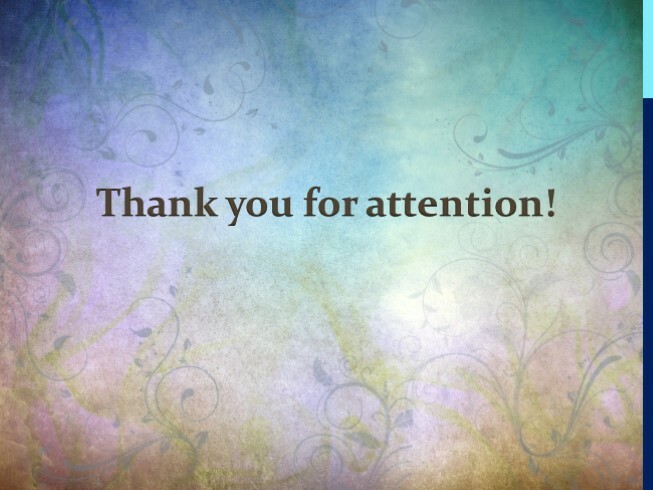 Gleb Glebovich Glinka is a successful American lawyer. Elizabeth Glinka and her husband have three sons, one of them is adopted. In America, Glinka began to work in a hospice and was shocked by the human relationship to the hopeless patients in this place. In the late nineties Elizabeth moved to Kiev, where her husband worked. 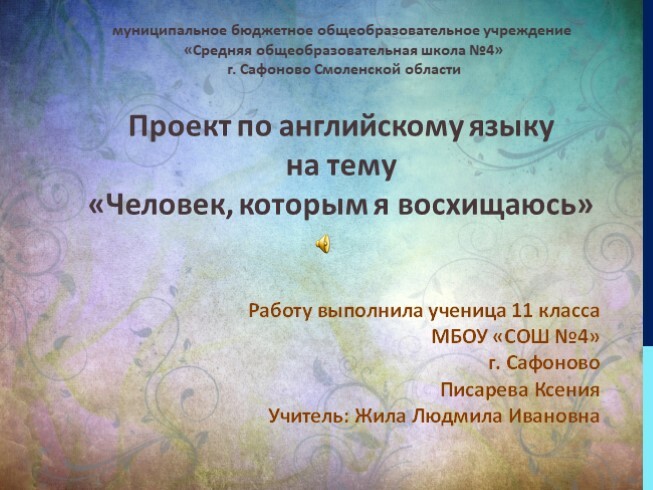 There she organized nursing service of palliative care. 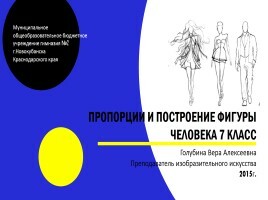 And in 2001 the first free hospice in Kiev was founded with her help . 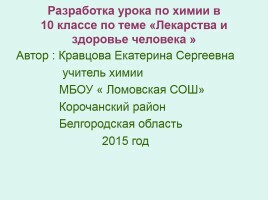 In 2007 Glinka moved to Moscow and founded the charity Fund « Fair aid». Her fund helped the low-income groups of people and other socially unprotected categories of the population. In August 2010, the Fund "Fair aid" organized the collection of aid for victims of fires taking place in various regions of the country and organized the place for heating and feeding the homeless. During the armed conflict in Eastern Ukraine, Elizabeth helped people living in Lugansk and Donbas to move to the safe places. 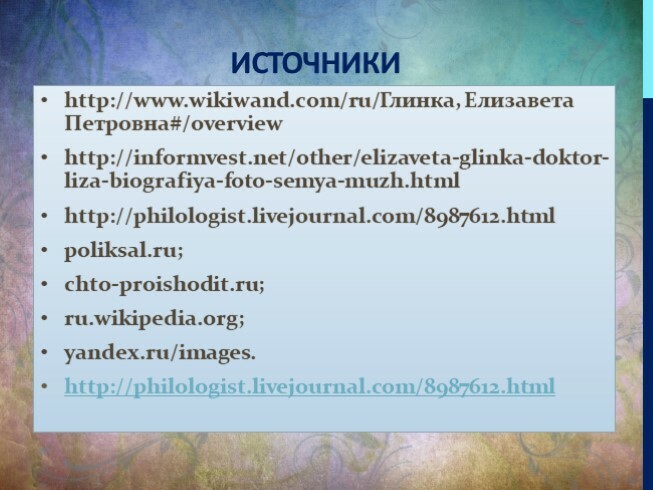 Elizabeth Glinka is one of the most influential women of Russia. She received some awards for devotion to medical duty, for the salvation of children in the East of Ukraine and for the great contribution to charitable and social activities. 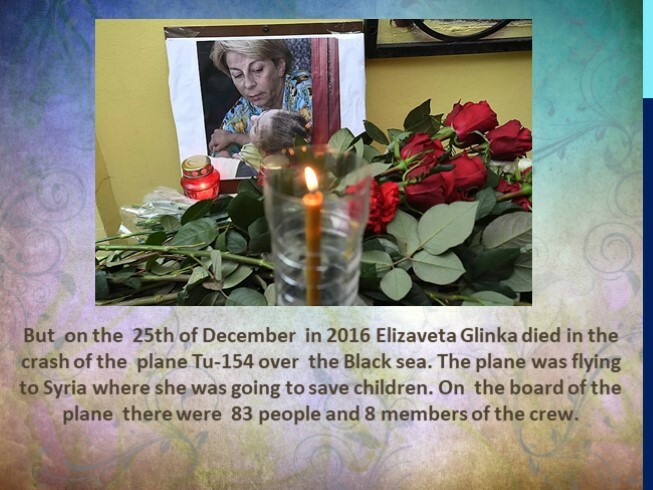 But on the 25th of December in 2016 Elizaveta Glinka died in the crash of the plane Tu-154 over the Black sea. The plane was flying to Syria where she was going to save children. 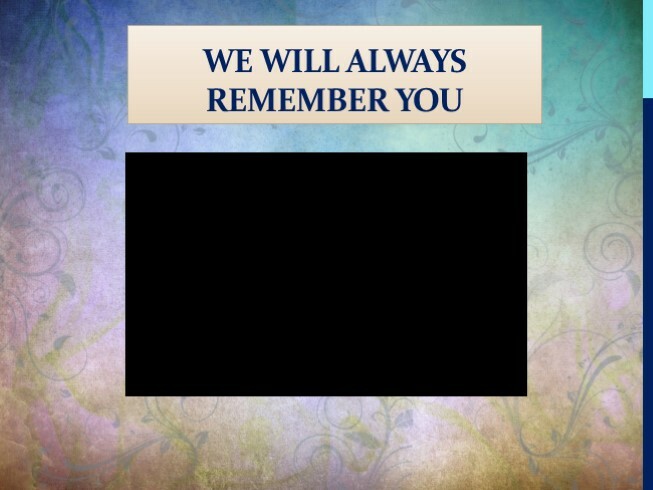 On the board of the plane there were 83 people and 8 members of the crew. 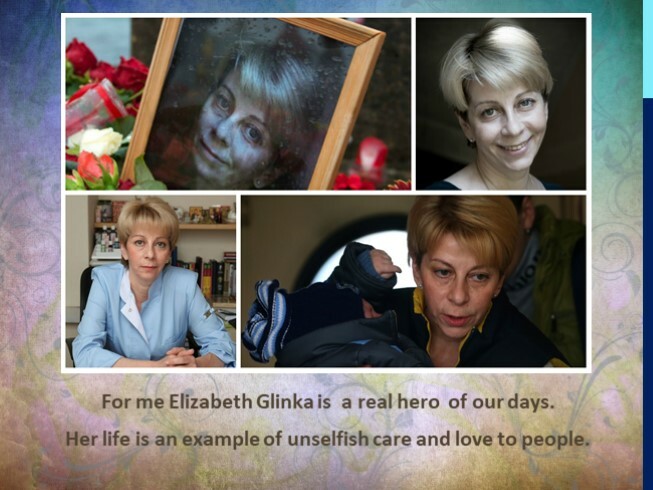 For me Elizabeth Glinka is a real hero of our days. Her life is an example of unselfish care and love to people.